What are some of the issues you see today in higher education leadership?What are wicked problems?What are some skills leaders need to have? 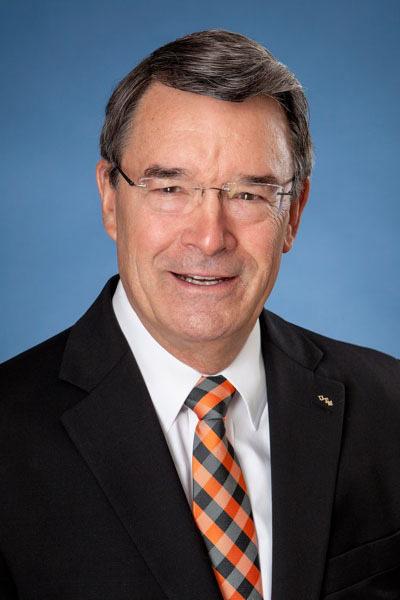 Robert M. “Bob” Smith is special advisor to the UT president for talent and leadership development. He has served in this role since January 2017, following 18 months as interim chancellor for UT Martin. In 1999, he began serving as provost and later president of Slippery Rock University in Pennsylvania before retiring in 2012 as president emeritus. At Slippery Rock, he was credited with turning around declining enrollment and raising the academic reputation. In Smith’s last years as president, Slippery Rock received three national and two regional “Best Places To Work” accolades and hit all-time enrollment, retention, and graduation records. Smith is a nationally recognized leadership development specialist who has taught in university-sponsored executive development programs across the country. He has a doctorate from Temple University in Philadelphia, Pennsylvania. He has received two national awards from the Council for Advancement and Support of Education (CASE) for teaching excellence and was selected a “First-Year Student Advocate” by the National Resource Center for the First-Year Experience and Students in Transition. In recognition of Smith’s service to UT Martin, the UT Board of Trustees designated him the 10th Chancellor of UT Martin and chancellor emeritus. Smith and his wife, Ramona, live in Franklin, Tennessee. Bob would be delighted to connect with you.